The Rose Black Resource Center (RBRC) welcomed Catherine Jermany as its new coordinator Thursday, Feb. 28. 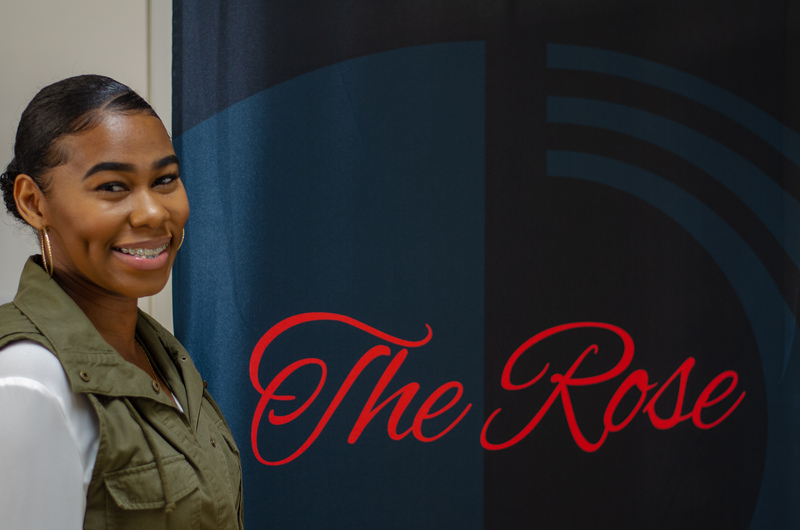 Founded in 2017, the RBRC, named in part in homage to Tupac Shakur’s poem “The Rose that Grew From Concrete,” offers programming, resources, and services that promote the academic, cultural, career, and social development of African-American students. “This is a safe haven where our Black students can learn more about their culture and they can network with others,” said Dr. Joycelyn Jones, the online degree administrator for the department of Academic Technology. New coordinator Jermany holds a bachelor’s in child development and a master’s degree in counseling from California State University, Northridge, and began her professional career at CSUDH as an academic advisor in 2016. “This space is important because marginalized groups, such as those within the Black community, need spaces where they can be their authentic selves and escape from the daily oppression they may experience on campus and in society,” said Jermany. The RBRC offers academic advising, career counseling and tutoring. It strives to promote academic excellence as well as social development this needs attribution. The RBRC supports two student-led groups that promote and foster community building among Black students: Tribe (for men) and Talk to Me Sis (for women). Both of these student-led groups provide a space where Black students can freely talk about their experiences of being Black on campus and in society. To help the RBRC become more visible to the campus community, Jermany said she has plans on encouraging students to develop their own programming within the RBRC and collaborating with campus departments. According to CSUDH’s Campus News Center, the RBRC was first proposed to former CSUDH President Willie J. Hagan in 2016, as a “proactive” move in light of the national protests following the August 2014, shooting of Michael Brown in Ferguson, Missouri. The RBRC is located in the first floor of the Loker Student Union room 132 and is open Monday, Wednesday and Friday from 8 a.m. – 5 p.m. and Tuesday and Thursday 8 a.m. – 8 p.m. All students are welcome.